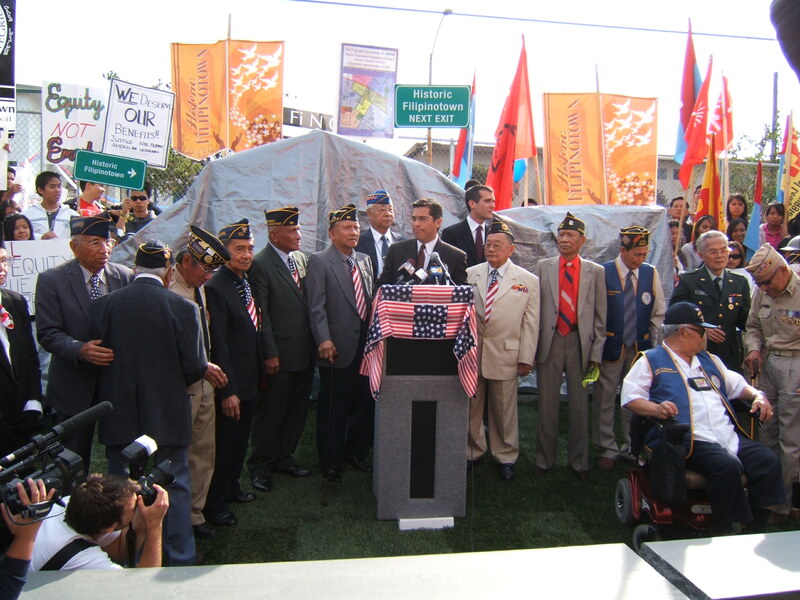 It is with deep sadness that the Justice for Filipino American Veterans (JFAV) announced today that Commander Faustino "Peping" Baclig, founder/chair of Alyansa ng Komunidad, JFAV , Association of Widows, Advocates and Relatives for Equality (AWARE)-Los Angeles, Golden Agers (GALA) , Seniors for PACE and the pillar of the Filipino World War II veterans movement in the United States, passed away today at 3:00 am, February 27, 2011. He was 89 years old.He was born in Cabugao, Ilocos Sur on February 14, 1922 and died on February 27, 2011. Los Angeles---It is with deep sadness that the Justice for Filipino American Veterans (JFAV) announced today that Commander Faustino "Peping" Baclig, founder/chair of Alyansa ng Komunidad, JFAV , Association of Widows, Advocates and Relatives for Equality (AWARE)-Los Angeles, Golden Agers (GALA) , Seniors for PACE and the pillar of the Filipino World War II veterans movement in the United States, passed away today at 3:00 am, February 27, 2011. He was 89 years old.He was born in Cabugao, Ilocos Sur on February 14, 1922 and died on February 27, 2011. Faustino or Mang Peping ( short for Manong -an Ilocano word for brother) was a nephew of the first Filipino West Point graduate, Col. Eustaquio Baclig halied from Cabugao, Ilocos Sur. He was a high school teacher, a lawyer, and a World War II veteran. He was a survivor of the infamous death march and Bataan. He joined the guerillas after being released from a Prisoner of War camp and hold a rank of Colonel in the resistance movement. He went back to teaching and did not join the army that is why he lost his rank. He was also one of the first council member of District 5 (Historic Filipinotown District) of the Greater Echo Park Neighborhood Council (GEPNC) in 2001-2003 when the neighborhood council system was implemented in 2000. His last public appearance and speech was at the Annual Veterans Day rally in Historic Filipinotown in November 11, 2009. After his speech he suffered a stroke and went on a long lingering illness and convalesence at his home and different hospitals.A great fighter, even from his hospital bed, he continued supporting our cause. He survived his wife, Pacquita, daughter Prescy and son, Omie Baclig. Viewing will be on Friday and Saturday. Please stand by for more annoucement.